BBQ Caucus - Last week our BBQ Caucus held its inaugural conference call. The call was well attended and in preparation I asked for everyone to bring to the call an item for discussion that for them was the most important thing for the PFI to focus on relative to the BBQ opportunity. 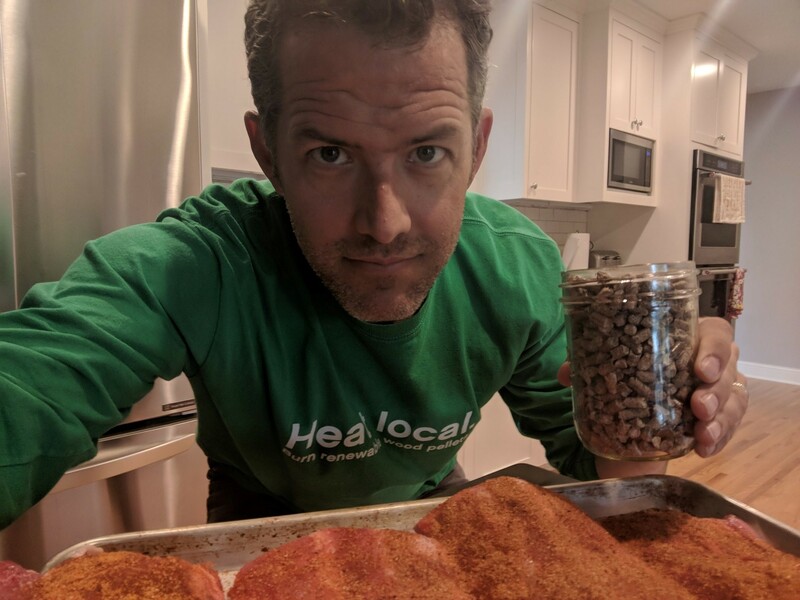 For me, our ability to leverage the current popularity of wood pellets as a BBQ fuel to raise consumer awareness of all of the things wood pellets can be used for is paramount. Other members of the caucus identified membership, exposure at BBQ competitions and alignment with BBQ associations, truth in labeling and a page on the PFI website as their top issue. The BBQ Caucus will convene again in September and October with a goal of presenting a strategy and approach to the BBQ market to the board at the fall board meeting. Social Media Beta Test Reminder - The sign-up portal for this fall's Social Media Beta Test is now open. As a reminder, the cost to sponsor a retailer is $1,500. Your sponsorship will include the development and delivery of promotional messages intended to raise consumer awareness and interest in wood pellets as a heating fuel. These messages will be delivered to a target audience inside of your retailer's marketplace and drive those consumers to your customer's website, Facebook profile and/or Instagram feeds. Our organizational goal is to generate 250,000 pro wood pellet impressions across 10 different markets this heating season. With a fully subscribed beta test, we are confident that can happen. We are not able to accommodate more than 10 participants this year so sign up now. To sign up, simply click here. Board Meeting Set - The PFI fall board meeting will be held November 1-2 in Indianapolis. A big thanks to the board for working with me to find a date that worked for nearly everyone. We thought we would give Indianapolis a chance because of its proximity to a good share of our board and our members. The board meeting also allows us to look seriously at a new city as a potential site for an upcoming PFI conference. We've got an ambitious agenda and some important conversations planned and Don Wagner and I are already at work on an agenda that will allow us to get everything accomplished that we need to. Heat Local. Using wood pellets for home heat helps the local economy. Sponsored content will target new social media users who may not be aware of the heating with wood pellets. Whereas a business can create posts that its followers will see, and boost the post beyond that audience to some extent, sponsored content will identify potentially receptive new audiences and target them multiple times. Sponsored content also enables us to test our ads and messages, and monitor stats like how many times our content is being seen or attracts engagement. In a recent test with a retailer in Pennsylvania, we were able to reach 30,000 Facebook and Instagram users an average of 2.5 times each. Absolutely. We enthusiastically encourage regular Facebook and Instagram activity during the campaign - both for pellet appliances and for other merchandise the retailer may carry. The more visibility, the better. We also plan to work with each retailer's social media manager to re-post some of our ad content during the campaign. We will share monthly reports that show the key stats of the campaign - including audience reach, clicks, post engagement (likes or scrolling through a slideshow, for instance), and more data. Our ultimate goal is to promote the sales of pellet appliances, making progress toward Operation 100K. We'll measure success in several ways - number of people reached, engagement with our ads, and retailer leads. If we are able to replicate our initial test from this summer in each of the selected markets, we will reach 250,000 or more social media users. We will also ask our retailers to keep track of how many leads they get from Facebook or Instagram and to report these numbers. We're building a collection of photos of our members, their pellets mills and product. Send them to Carrie Annand at [email protected]. In honor of the first meeting of the PFI BBQ Caucus, this week's featured photo shows Executive Director Tim Portz grilling with pellets. Don't miss the opportunity to sponsor PFI to reap the benefits for the rest of the year! Sponsorship at all levels brings many perks, along with exposure for your company to the pellet fuels industry. By signing up to sponsor the association early in 2018, you will reap the benefits throughout the coming year. On Aug. 3, the U.S. EPA delivered a proposed rule to the White House Office of Management and Budget that aims to amend a 2015 rule that set performance standards for new residential wood heaters, hydronic heaters and forced-air furnaces that would allow retailers additional time to sell older appliances. OMB review marks a final step before a proposals is released for public comment. Information published to the OBM website indicates that the EPA finalized a rule in February 2015 that made revisions to new source performance standards (NSPS) for new residential wood heaters. The rule updated 1988 NSPS to reflect advancements in wood heater technologies and design. It also broadened the range of residential wood-heating applications covered by the regulation. The recent blog, by Northern Forest Center President Rob Riley, focused on why people have embraced the idea that eating more kale sustains local farms, but haven’t yet realized it is just as important to use forest products to support our local forests. This is a message we work with every day at the center. We’re driven by our mission to build economic vitality and community well-being based on sound forest stewardship across the Northern Forest. We are a nonprofit organization serving a 30 million-acre region that stretches from Lake Ontario to the Atlantic across northern New York, Vermont, New Hampshire and Maine. Our programs support many elements of the forest-based economy, from wood products manufacturing to destination development to community forests. Across all programs, we measure impact based on jobs supported, acres conserved for community benefit, and dollars invested in projects that benefit the region’s communities, the economy and forest stewardship. At last tally, we had benefited 4,951 jobs, helped conserve 255,562 acres, and secured and leveraged $199 million for the region’s benefit. Pellet smokers have surged in popularity because of their ease of use and tasty results. Our favorite pellet smokers include those intended for novice and for experienced grill masters. With a bit of prep and patience, each one of them can deliver a delicious meal.